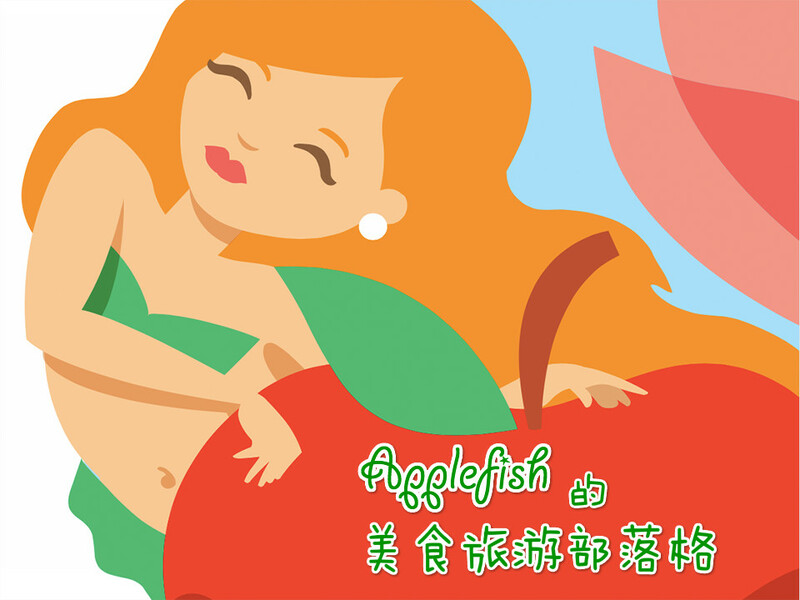 月光下のApplefish: 1st Avenue Mall Newly Launched Mobile Apps- Starbucks buy 1 free 1 giveaway! 1st Avenue Mall Newly Launched Mobile Apps- Starbucks buy 1 free 1 giveaway! 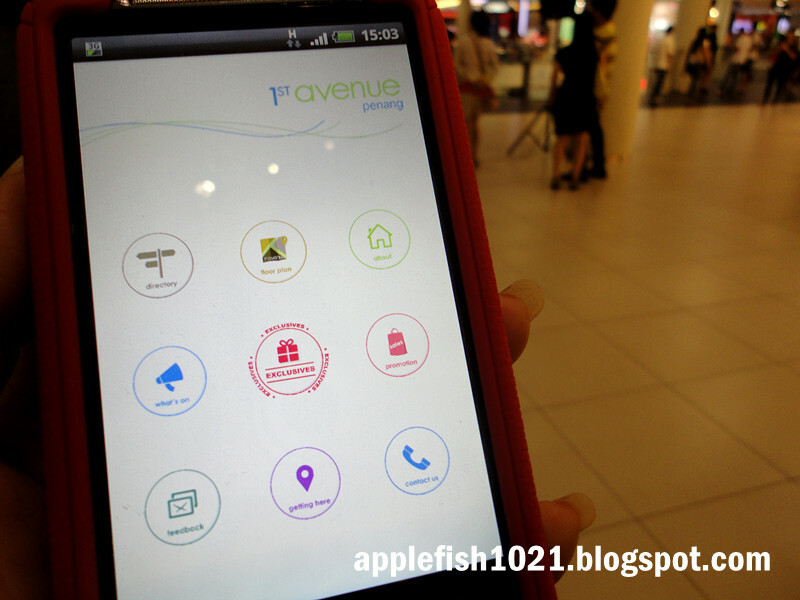 One of Penang’s premier shopping centers, 1st Avenue, has recently launched its Mobile Apps for IOS and Android users. Just download 1st Avenue’s mobile apps and be the first to receive instant updates on their latest happenings which include interesting contests, latest promotions and fabulous event right at your fingertips! 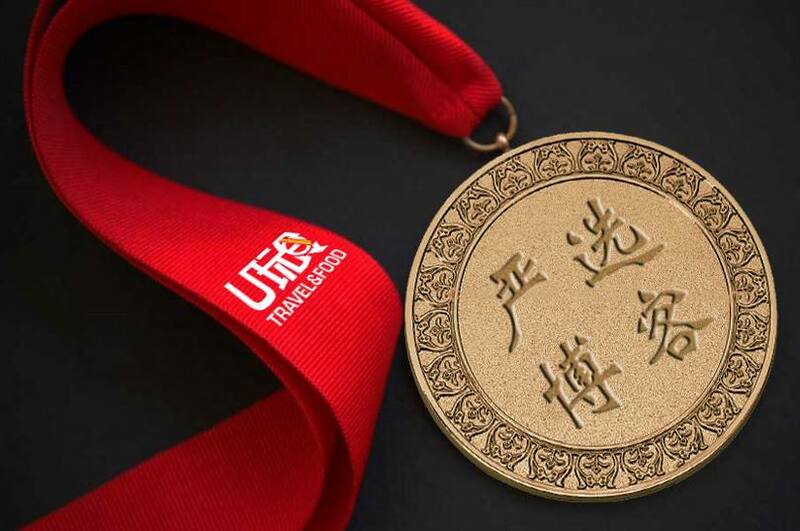 For the month of June 2013, there would be 2 giveaways for the first 50 persons. You just need to show your downloaded their mobile apps and present it to them as proof. 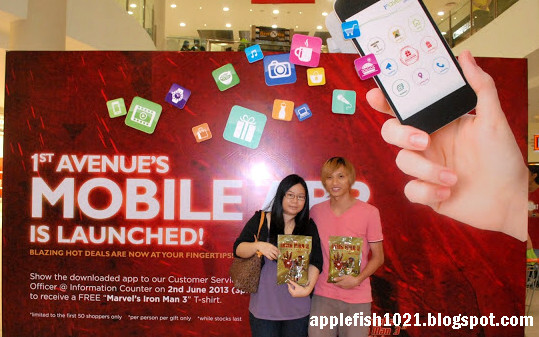 I've claimed my FREE “Marvel’s Iron Man 3” T-shirt on last Sunday from their 1st giveaway event. For those Starbucks and coffee lovers, I’m sure it is great news to you all. 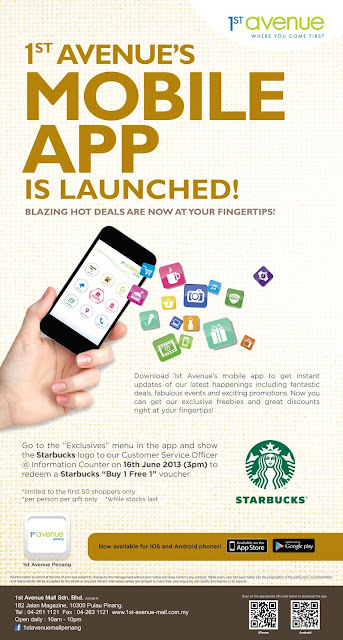 The 1st 50 shoppers to queue up at the 1st Avenue’s Information Counter will get their Starbucks Buy 1 Free 1 voucher. Do remember to downloaded their mobile apps!